Sometimes promises are made for further action. 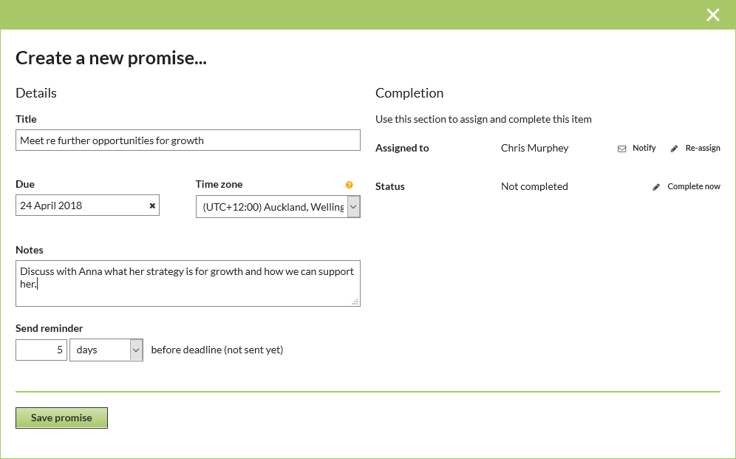 Promise Prompter allows you to create a follow-up action with a reminder, to help keep track of what has been agreed. While you are Closing the Loop, talking to people about their feedback, you may agree some future actions that should take place. Promise Prompter enables you to record and capture these promises to help you follow through. 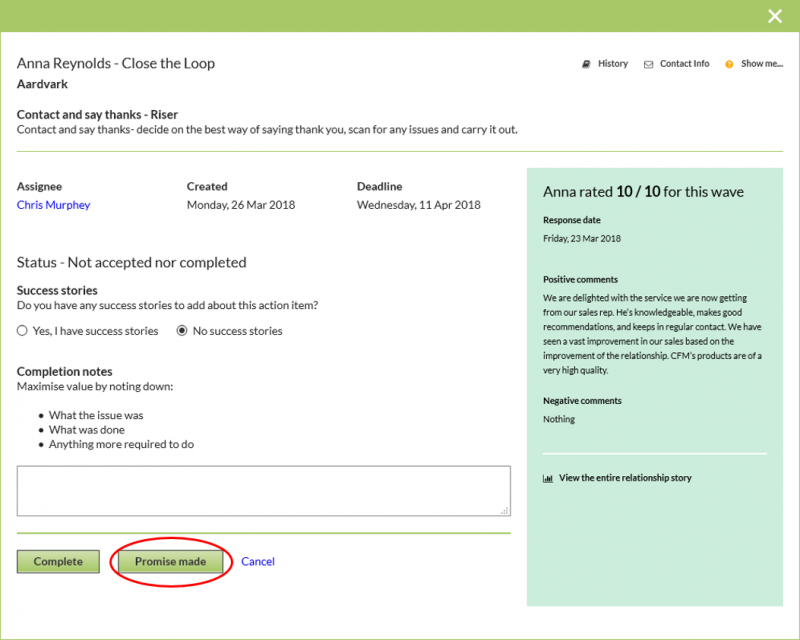 You can reassign to another person, and/or complete and add notes of the result.